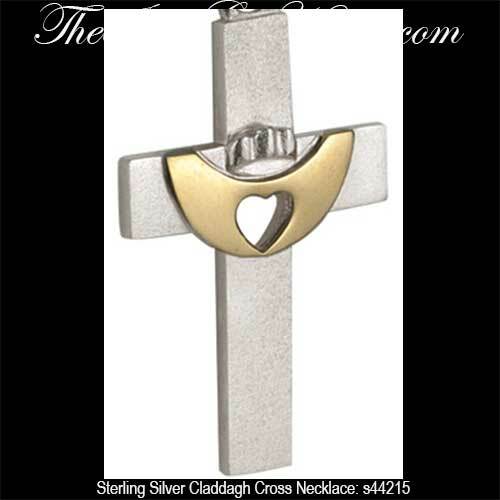 Claddagh cross necklace features brushed sterling silver along with 14K gold accenting. Sorry this Claddagh cross pendant is now sold out. 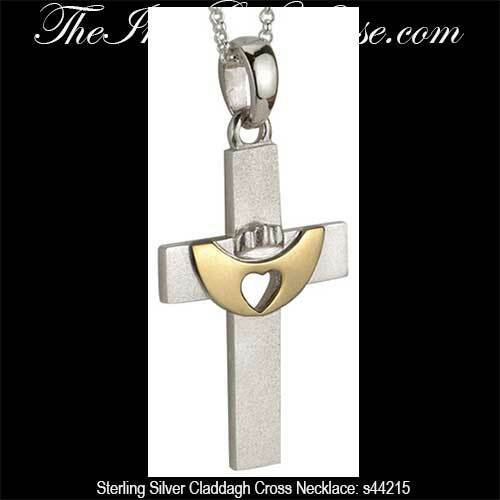 This contemporary Claddagh cross necklace features brushed sterling silver along with 14K gold accenting. Claddagh cross pendant measures 3/4” wide x 1 5/8“ tall, including the jump ring and the chain bail, and it includes an 18” long sterling silver chain.